Texas Hold’em Bonus is based on the popular variant of classic poker with the same name. 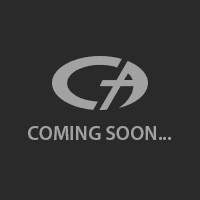 Amaya Gaming is fairly a new name in the industry, but they keep releasing card games and are very successful at that. Texas Hold’em Bonus is one of these new additions with a little twist: you can also make bonus bets and get higher payouts. 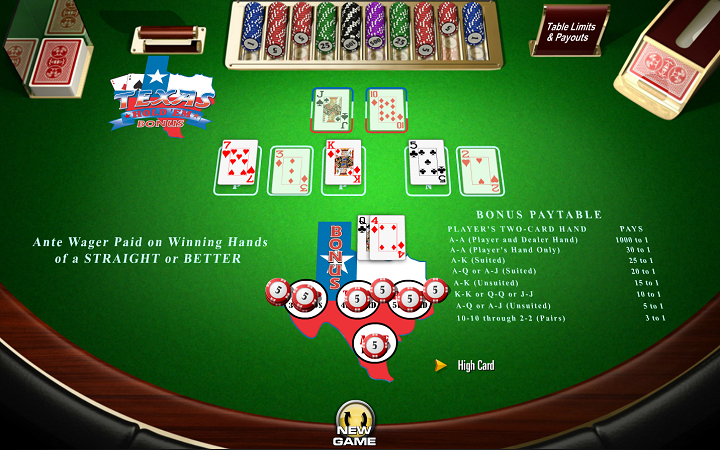 The game uses the rules of Texas Holdem poker, but not the simplified versions – tournament rules apply. The interface is a little different because of this, but if you are familiar with classic Texas Holdem, it is still the same game, so no worries. You need to make at least 1 coin bet to enter the game, this is called the “ante wager”. As you can see, there is a bonus bet section on the interface. You can place two cards here, and if they form a special poker hand, you get paid according to the bonus paytable. For example, A – A hand pays 1.000 to 1. Basically, you need picture cards and aces to win the bonus bet. After placing your ante wager, you get three cards (called the community cards). At this point, you can continue playing or forfeit – it is up to you. If you choose to continue, press the “bet” button. A fourth card (called the turn card) will be dealt. It is still possible to forfeit at this point. The fifth card (called the river card) is the last one, press on the “bet” button if you want to continue. After getting the final card, both sides can form a poker hand using the community cards and the other two cards. The side with the higher hand wins the round. Press on the “same bet” button to play another round with the same values. Otherwise, you can start a fresh round by making a different bet. The bet levels can be set between 1 and 500 coins by clicking on the poker chips which are located at the bottom right. Although, you can bet maximum 100 coins in the demo mode; 500 coins is only available in the real money version. All bets pay 1 to 1, other than the bonus bets. Texas Hold’em Bonus is a nicely done game and we can easily recommend it to everyone who likes to play Texas Holdem poker online.